At times of geopolitical crisis, winning the information war is crucial. 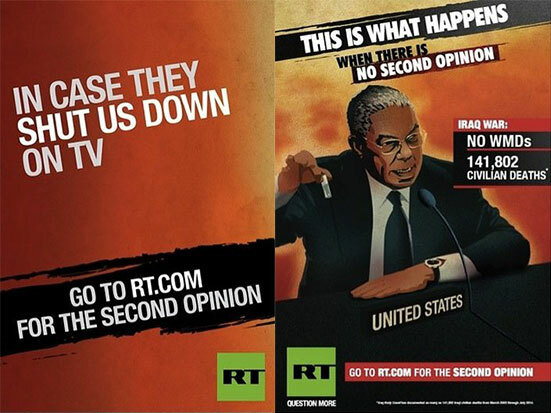 No-one knows this better than RT (formerly Russia Today), the Kremlin-backed news channel, which has just launched an advertising campaign in New York suggesting that it could have helped prevent the Iraq war. 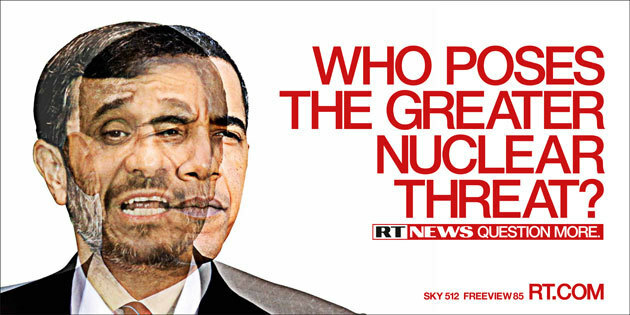 RT spokeswoman Anna Belkina has declined to reveal the company behind the advertising campaign, but has said that Washington DC and London will be the next cities targeted. The channel, which launched in 2005, has long pitched itself as an alternative to mainstream news sources such as the BBC and CNN. Its critics claim the channel is a propaganda machine for the Kremlin, a view substantiated in recent months by employees of the network who have resigned over coverage of events in Ukraine.